I finished this Christmas wall hanging the other day and I LOVE LOVE it. I am not really a whimsy person but I had someone in mind when I was sewing this and after I finished it I decided I wanted it, but don't worry it is going to one of my swap partners. 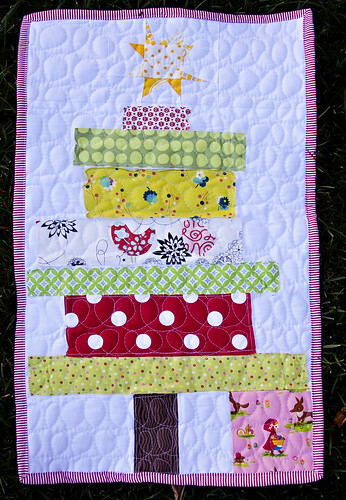 I used raw edge applique for the tree with steam a seam to help hold it in place, so if my secret partner wants more of a ragged look they just need to wash this mini quilt/wall hanging a couple of times! I did a wonky Maverick star as the star on the tree and as you can tell from previous posts I really love them. I also made a fabric ribbon so that my partner can hang this mini quilt, but I didn't do anything permanent ( as you can see from the safety pin holding the ribbon in place) just in case my partner has other ideas for it. 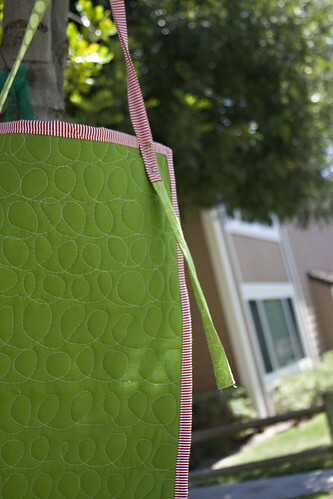 You can also see my choice of quilting with this picture. 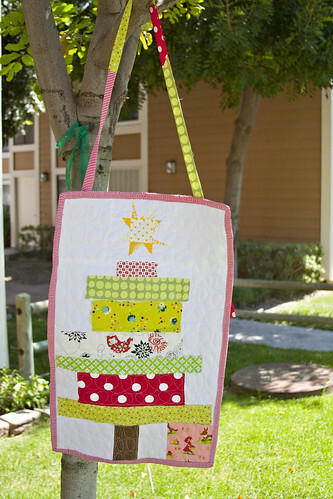 I am OBSESSED with loppy free motion quilting. I totally love it. I love it too! I want to make one for me. I love this! Your work is wonderful.